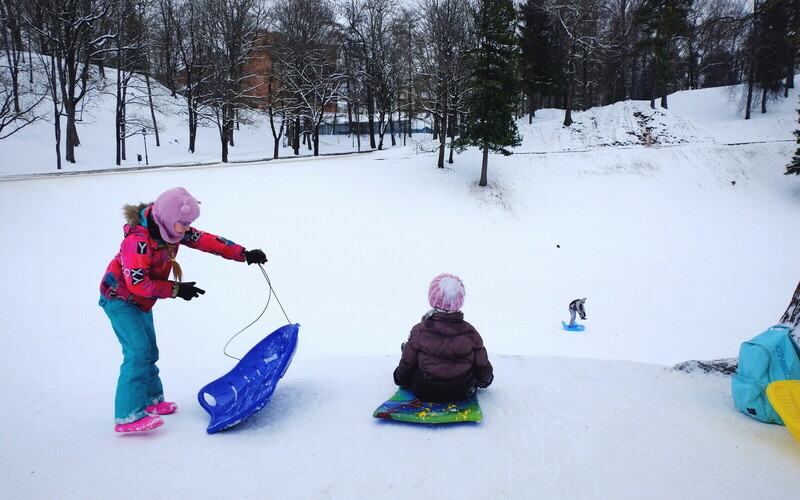 While temperatures in the Southern Estonian city of Tartu crept up toward the freezing point during the day on Tuesday, making for slushy roads and slippery sidewalks, there was still enough snow on the ground to make for good sledding, and enough lenten buns in cafés to go around — mostly. 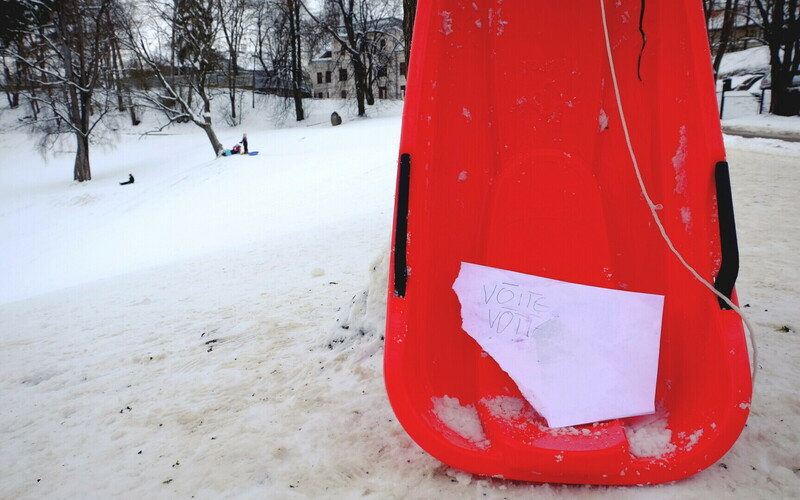 Taavi Hallimäe was one of many out sledding with his friends on Tartu's popular Kassitoome Hill on Tuesday afternoon. 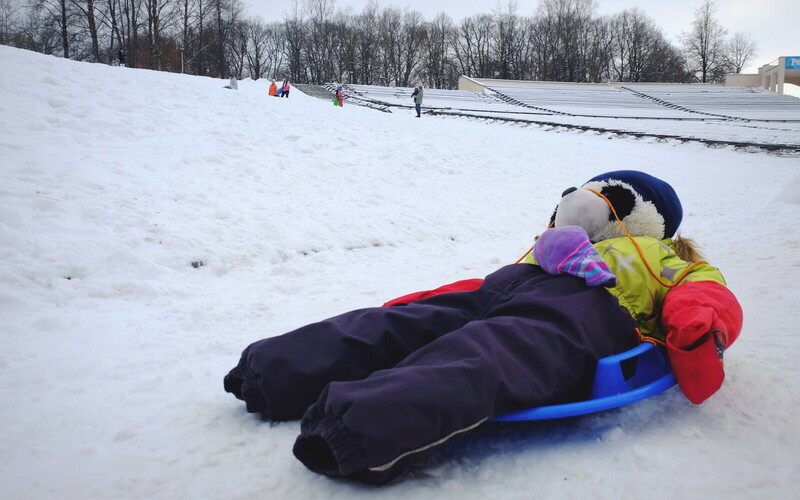 "The first time it hurts, but you just need to take it," he commented about inevitable spills and tumbles in the snow while sledding on such steep hills. "By the tenth run, you don't feel anything anymore anyway." 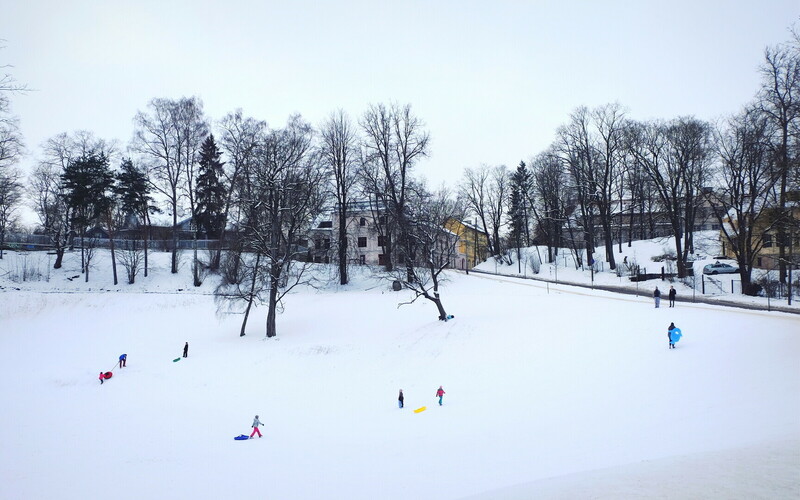 Hallimäe was older than the average sledder on the hill at the time, but that didn't stop him from enjoying the slopes with an animal-shaped inflatable pool toy. 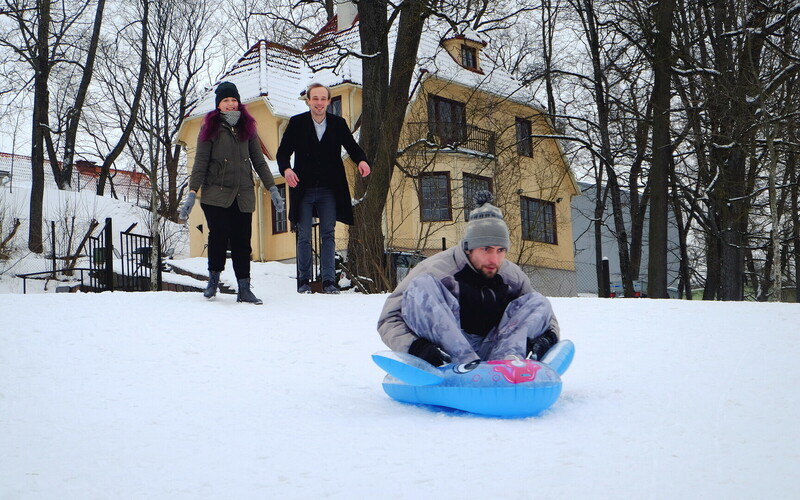 He and his friends said they go sledding every year on Shrove Tuesday, and eat traditional lenten buns and pea soup as well. But do they make bone tops? "Bone tops?" he repeated. "Like, you take a bone. And make it into a top. No, we don't make bone tops." His friends added that they stuck with sledding and eating lenten buns, the best of which, they claimed, came from Werner Café. 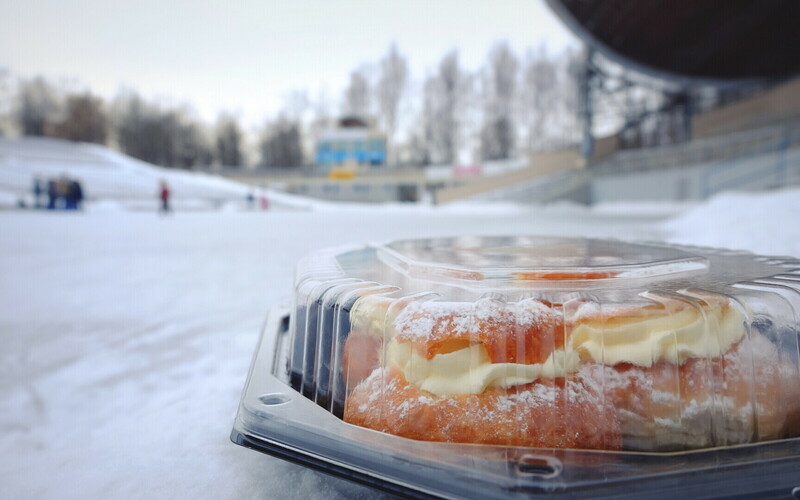 Although some of the associated traditions have morphed or died out, Shrove Tuesday, celebrated in other parts of the world as Mardi Gras or Pancake Day, remains a popular traditional holiday in Estonia. 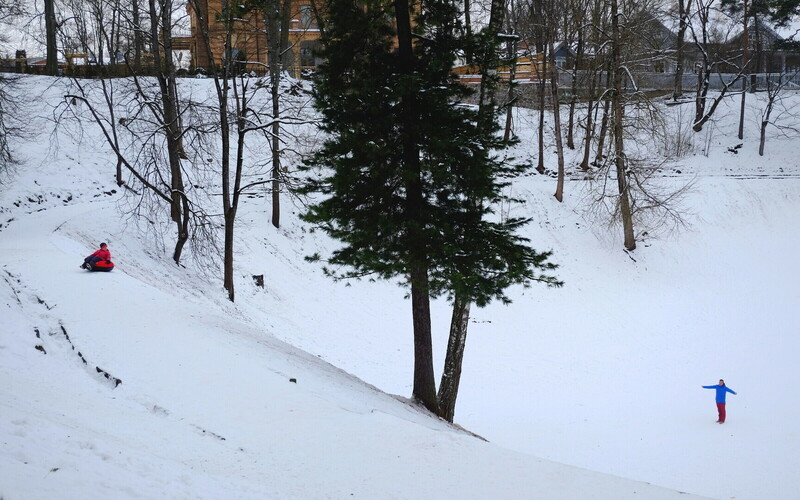 As elsewhere, Shrove Tuesday marked the day before Lent began, but in Estonia, it was also considered a sendoff to winter, as the days were already getting longer and people were already thinking spring. As stocks of meat dwindled low, pig's feet, which were usually at the bottom of the barrel, were eaten and tops were made for the children out of the leftover bones. Rich bean or pea soup was also eaten, as were lenten buns. 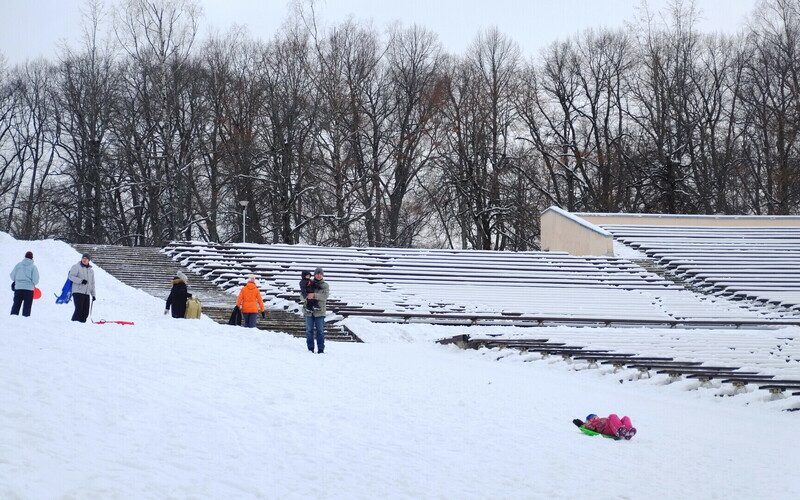 Estonians didn't go sledding just for fun on Shrove Tuesday; it was also believed that the longer the slide, the higher your flax would grow that summer. A number of other superstitions were associated with the day, many of which had to do with good agricultural fortune or protection. Nowadays, many of the old customs associated with Shrove Tuesday are not followed anymore, or have been carried on in a modern form. 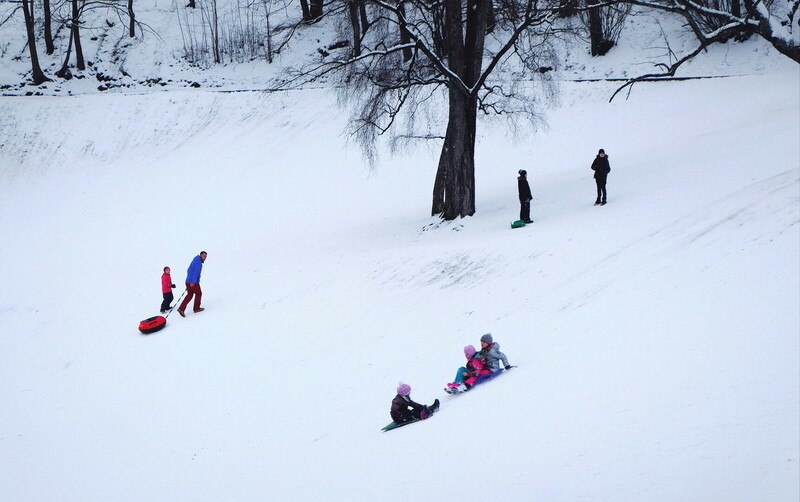 Sledding is a popular activity among all ages when there is enough snow for it, but one tradition that shows no signs of disappearing is that of the lenten bun. 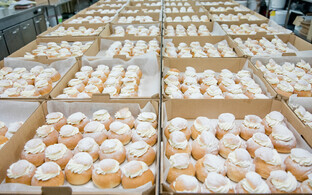 Known as semlor in Sweden, laskiaispullat in Finland, fastelavnsboller in Norway and Denmark and vēja kūkas in Latvia, lenten buns, or vastlakuklid (sing. 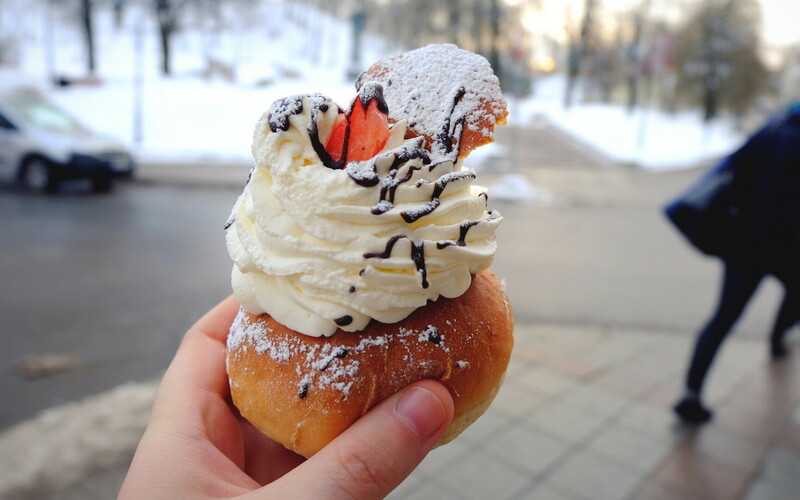 vastlakukkel) in Estonian, remain a staple of the late winter season in Estonia, with demand increasing steadily in the weeks leading up to the moving holiday, on which people carrying stacked white paper boxes filled with fresh buns are a common sight around town. 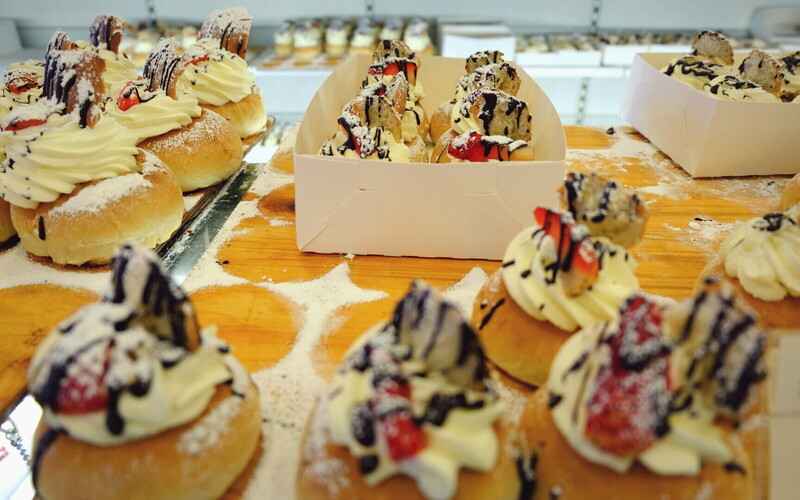 While supermarkets will likely have at least a few boxes of some variety of the whipped cream buns available in the time leading up to the holiday already, many favor fresh made buns from local cafés, which race to keep them in stock. 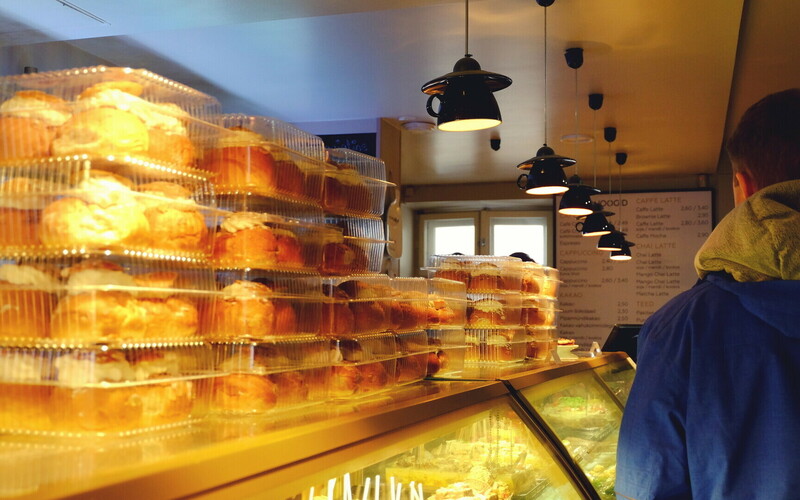 "Everything that comes out of the oven is gone just as quickly," said Mandel Cake Shop owner Anary Noorem, adding that on Tuesday, the shop was churning out only lenten buns. Even the 555 cardamom buns with marzipan whipped cream produced that day were not enough, however, as many walk-ins were turned away emptyhanded by mid-afternoon and the only buns left in the display case had been preordered and were simply awaiting pickup. 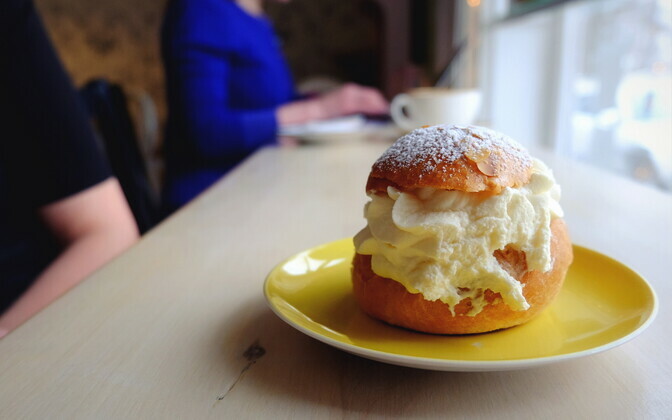 Last year, Mandel only offered lenten buns on Shrove Tuesday, but this year, Noorem said, so many people started asking for them weeks in advance that the Tähtvere neighborhood cake shop began baking about 30 per day ahead of the holiday itself. 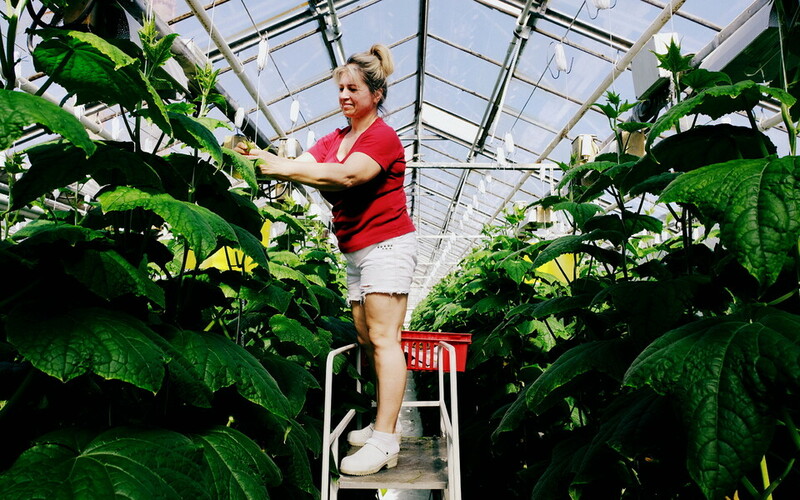 "Just enough that we'd have some on hand," she added. 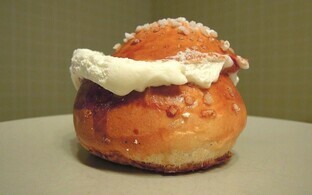 In the city center, however, an almost entirely unmarked bakery called Saiapood ("Bread Shop"), directly opposite Tartu Town Hall, still had boxes upon boxes and rows upon rows of lenten buns to offer just before 4 p.m., in various sizes and with various toppings and fillings, including lingonberry, blackcurrant, marzipan, raspberry, and strawberry with chocolate drizzle. The woman working behind the counter said that they had produced something like 400-600 lenten buns that day, and the bakers were waiting in the back for a fresh batch to cool. The trickle of customers remained steady. 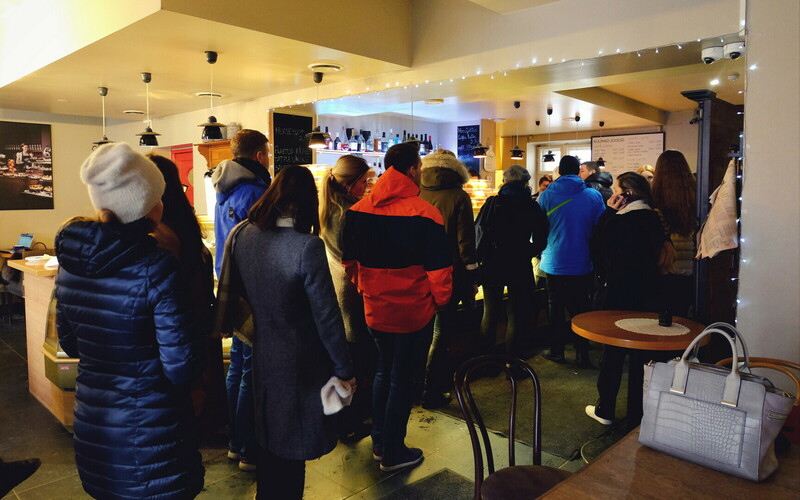 Around the corner, the line at the counter in Werner Café, a Tartu staple dating back well over 100 years, was a dozen deep even without counting those standing in a separate line for preorder pickups. 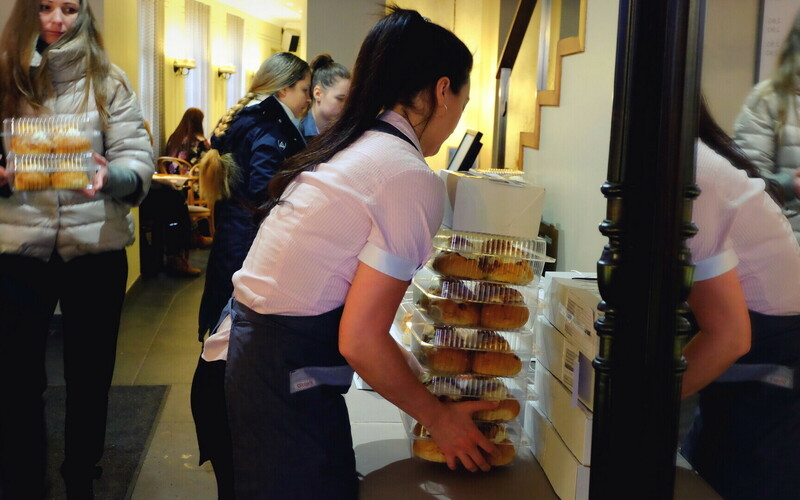 The long display case was stacked high with preboxed lenten buns in threes and fours, which café employees swiftly brought to the register, one after another, according to how many buns in total each walk-in customer wanted. "We've made a few thousand today," said one employee. "I don't know exactly how many, because we have these here plus the ones over there for preorders. Something in the thousands combined. We haven't really slept much."